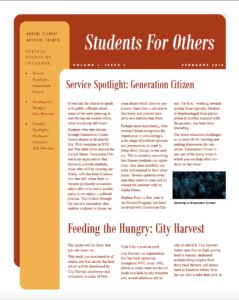 We are excited to announce Volume I, Issue I of the Service and Social Justice Newsletter. 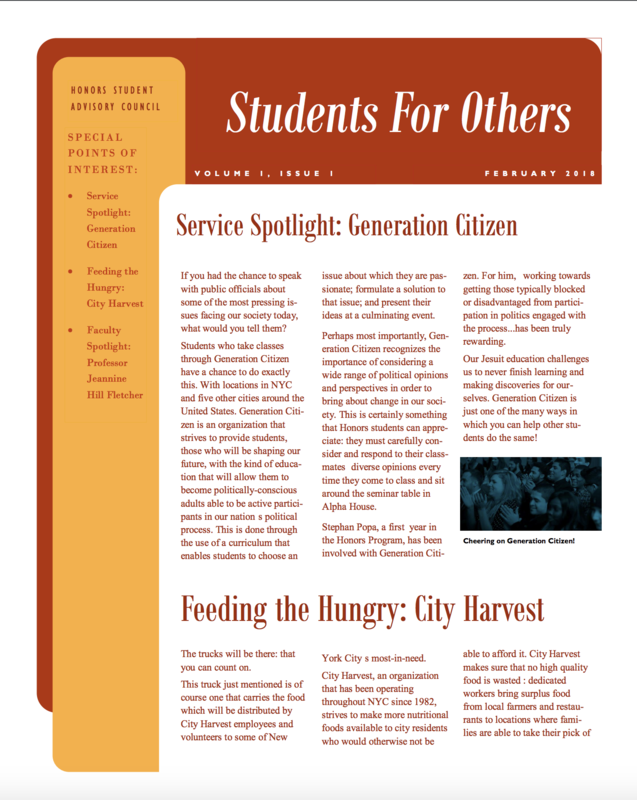 We hope you all enjoy reading about some of the great Service and Social Justice work that’s going on in Honors and at Fordham. Many thanks to our SSJ Committee Chairs, Katie DeFonzo and Olivia Jones, for their work on the newsletter!